When it comes to swimming pool sanitation, there’s a lot of different information floating around. There’s so much in fact, that it can be hard to separate the fact from the fiction. One of the main things people talk about is how best to keep your swimming pool clean. The two most popular sanitisers are chlorine and salt, but which one is actually superior? There are pros and cons for both, but there isn’t usually a black and white way to say which one is better. There are a number of factors that will help determine which sanitation method you choose. Luckily for you, we’re here to explain the difference between both, and why you might choose each one. Installing a saltwater system is a simple, economical and effective way of keeping your swimming pool clean. Did you know that salt water systems actually do produce chlorine in your water? The salt is broken down via a process called electrolysis and then added to the pool during filtration. Even though a salt water system does actually result in there being chlorine in your water, the amount is lower and it is not as concentrated as it is in a chlorine pool. A saltwater pool is also easier to manage than a pool that relies on chlorine. This is because the salt never actually disappears from the water. Basically, we’ll set you up with a ‘base-level’ of salt when we install your pool. From here, all you need to do is ensure you maintain the correct salt-to-water ratio. Simply manage the salt as the water level in the pool changes. This can occur through rain, backwashing, draining and water being ‘splashed out’ of the pool by swimmers. Surprisingly, this is relatively easy to do! 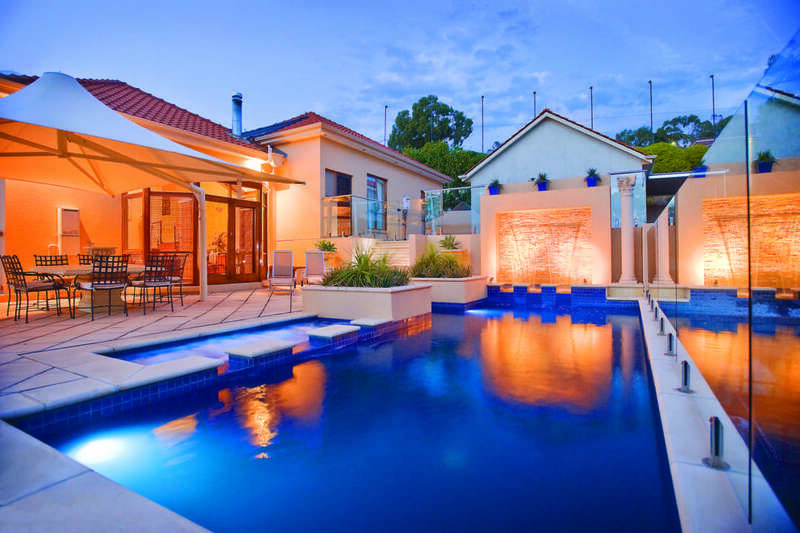 A saltwater swimming pool is often the preferred option over chlorine. Adding chlorine to your swimming pool is a slightly different process than adding salt, in that you must keep adding more if you want your pool to stay clean. You can buy chlorine chemical tablets from any pool shop and add them to your pump system or filter. The tablets will then break down in the water over time. One of the positives of using chlorine over salt is that it works faster. 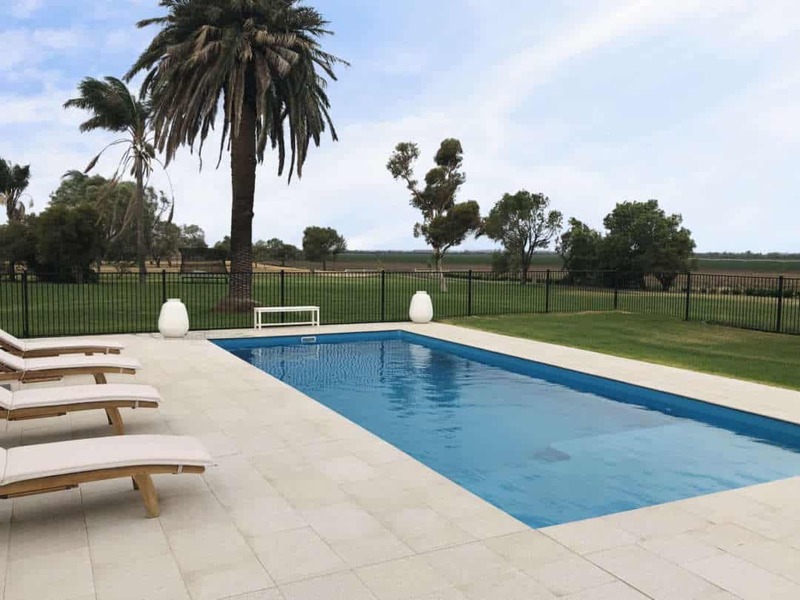 It has the ability to kill bacteria and mould more quickly than salt, meaning your swimming pool water will be clear, clean and safe to swim in sooner. You’ll also need to purchase a pH kit to ensure the pH levels in your pool remain balanced. Chlorine pools typically require more effort to run, and you’ll find they’re more expensive to maintain. This is because you’re constantly required to add tablets to keep the chemical levels consistent. In our professional opinion, a salt water swimming pool is usually the way to go. There are a number of reasons we believe this to be the case. For starters, salt is much cheaper to buy, it’s easier to adjust, it doesn’t require as much maintenance and it won’t sting your eyes. It’s also much easier on swimwear and skin. Having salt means you won’t have to keep as many harsh chemicals lying around, which is much safer if you’ve got a young family with kids and pets. You also won’t have to put up with a strong chlorine smell all the time! It’s worth mentioning that salt systems do cost a little more to set up, however the money you’ll save over the years will more than make up for the extra cost at the start. You can typically expect to spend about $700 a year on chlorine, whereas salt will only set you back about $100 a year. Of course, this doesn’t include other acids and chemicals you’ll need to purchase. A saltwater pool will require more acid throughout the year, but the other chemicals will be much the same as a chlorine pool. These figures are dependent on the size of your pool. Both salt and chlorine swimming pools have their benefits, however most people prefer salt because it is more natural. Whilst our opinion is an informed one, we obviously don’t want to make this decision for you. There are a lot of opinions on the subject, and as the customer you do get the final say. Our friendly staff will be happy to set you up with whatever system you prefer.